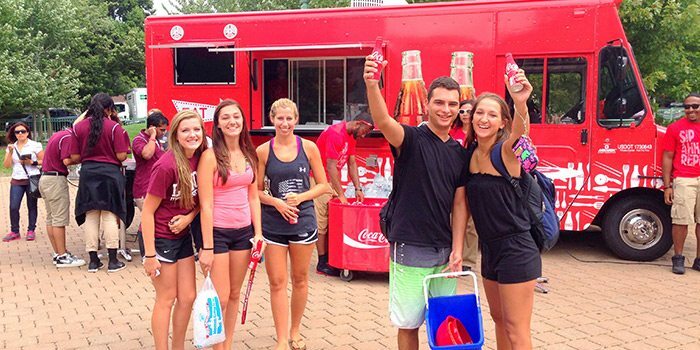 How many tour vendors can say they’ve launched 17 programs in 17 markets all on the same day? Aardvark can. For us, every job is a custom job. 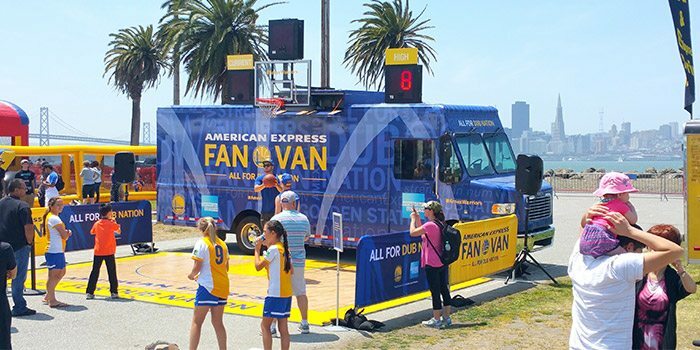 Whether you need a vehicle graphic wrap, a design built from scratch, a complete tour staffed, or fleet assistance, our Swiss army knife of services is an invaluable, custom tool set for your tour. The tours we take on run the gamut, from 1-week tours to 5-year tours, and everything in between. The following case studies show you how it all comes together with a closer look at some of the truly inspiring work we’ve been a part of. Feel free to browse, take notes, and get inspired. To promote their new in-room yoga program, W Hotels literally took their show on the road. They wanted to put celebrity yoga instructor, Tara Stiles, in a glass walled mobile hotel room, and drive it around NYC as she demonstrated yoga poses inside! Nike had a bus. 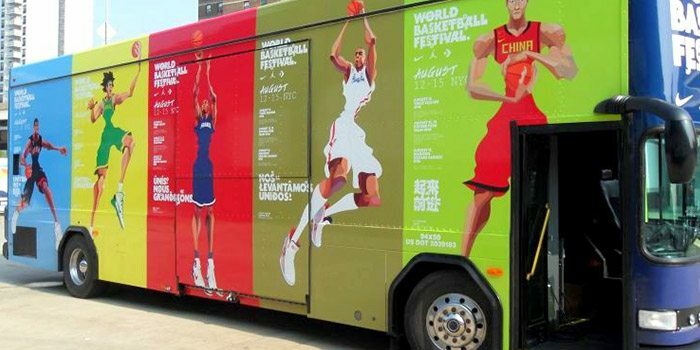 A big, beautiful bus all tricked out for the World Basketball Festival in New York City. The challenge was getting it safely to NYC from California, and then maintaining it for the length of the festival. When Octagon wanted to hit the streets of Chicago guerilla style, they turned to Aardvark to build the most efficient sampling truck of its kind.